Bored of getting little samples in your beauty box every month? Want luxury products for a bargain price? 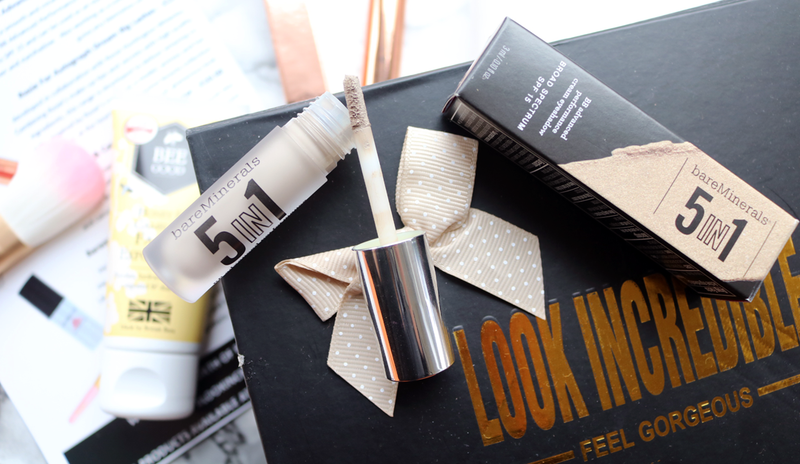 Look Incredible is the beauty box for you! Look Incredible are a popular online retailer who I'm sure you've probably already heard of before. They stock a huge range of well-known beauty brands (think Benefit, Becca, Too Faced, Urban Decay, Make Up For Ever etc), and they frequently have some excellent offers and sales going on - let's face it, who doesn't love a bargain?! They also offer a monthly beauty box (available in Standard or Deluxe), which contains only full-sized products, and features products from the brands that they sell on their website. As much as I love receiving cute travel sized minis in beauty subscription boxes, it can start to get a bit tedious after a while, and for products like skincare, it's always nice to get a proper amount to fully test out instead of just a tiny foil sachet. Don't get me wrong, I'll always love a good miniature, but do you know what I love more? A big, full-size product! Well, they do say bigger is better...! This cream eyeshadow from bareMinerals boasts an impressive 5-in-1 benefits formula that contains SPF 15, and can be used as an eyelid primer, concealer, brightener, and eyeshadow. I received the shade 'Delicate Moss' which is a pale, neutral toned mossy colour with a touch of shimmer. Works really well as a primer, and I like it as a base shade for a neutral smokey eye. It's long lasting with a silky/velvety formula, and I haven't had any issues with creasing or anything like that. 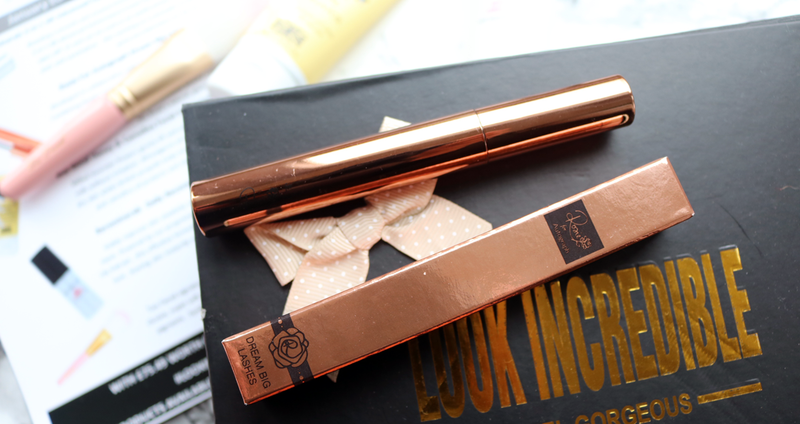 I've had the pleasure of trying a couple of pieces from Rosie Huntington-Whitely's cosmetics collaboration with M&S' Autograph range, and I've loved virtually everything. I've been meaning to get my hands on her mascara so I was thrilled to see it included in this month's box! Can't wait to try it and I love the rose gold packaging. 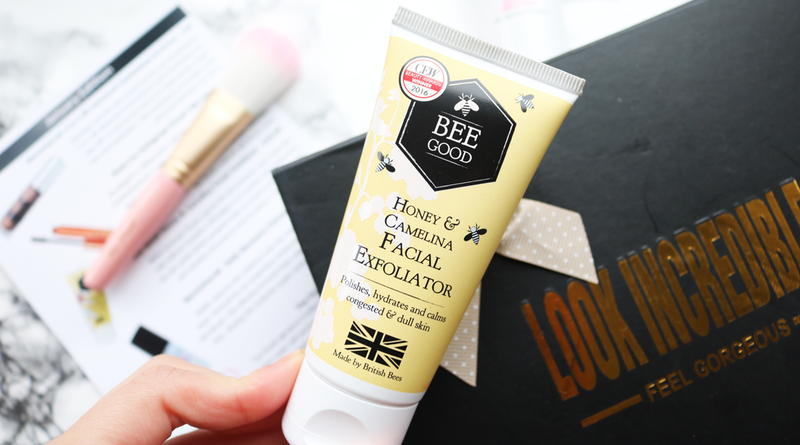 I've mentioned this amazing exfoliator from Bee Good on here several times, and I still use it on a regular basis. It's got a lovely and creamy texture, and uses finely milled lavender flowers to very gently exfoliate the skin. Great for unclogging impurities and getting rid of dead dull skin cells for an instantly brighter and clearer complexion. 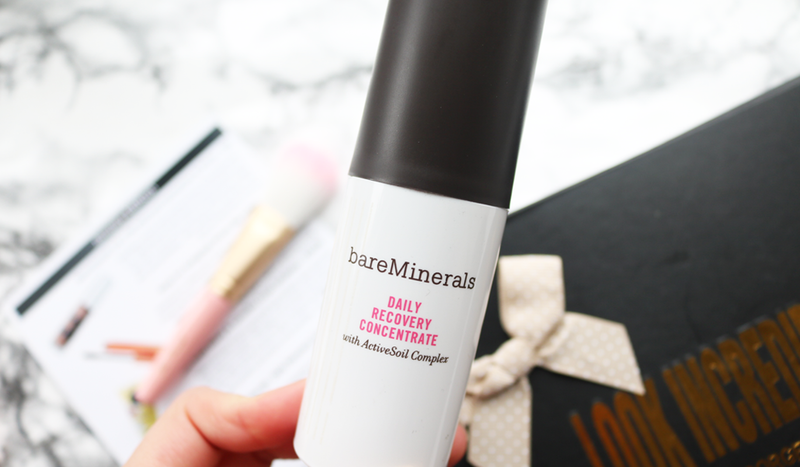 I don't think I've used any of bareMinerals' skincare before, and this Daily Recovery Concentrate looks interesting. It's described as "a deeply hydrating treatment to replenish and retain moisture, whilst leaving the skin supple and increasing its resilience over time". Sounds promising as a potential Winter Skin Saviour perhaps? 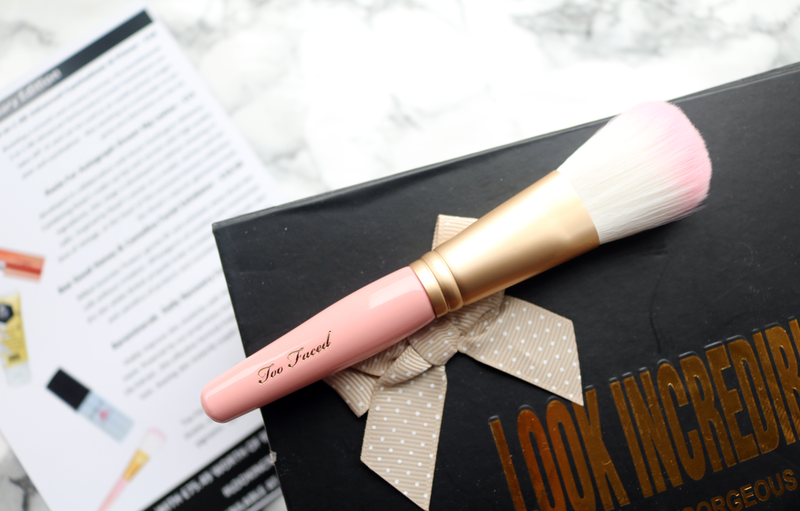 My favourite item in the box is this beautiful makeup brush from Too Faced. The cruelty-free synthetic brushes are unbelievably soft and are known as their bestselling 'Teddy Bear' hair formula which sums it up perfectly. At first, I thought it just looked like a regular blush or powder brush, but it does in fact seem to resemble a 'Flatbuki' as the bristles are longer in length than my other blusher brushes. A lovely new addition to my makeup brush collection! Summary: The contents are worth a whopping £75.49 in total, so if you're looking for a box which offers only full-sized products, and gives you a great mix of beauty products from well-known luxury brands, then worth check out the Look Incredible beauty box. 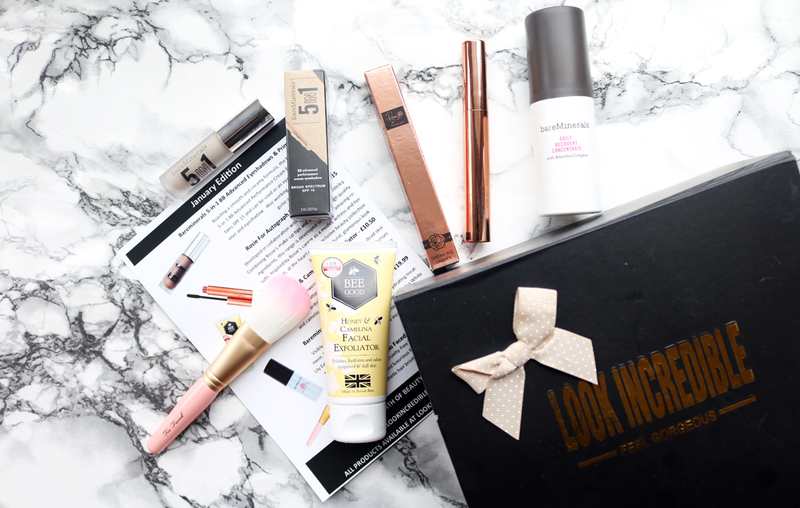 What do you think of the Look Incredible beauty box?